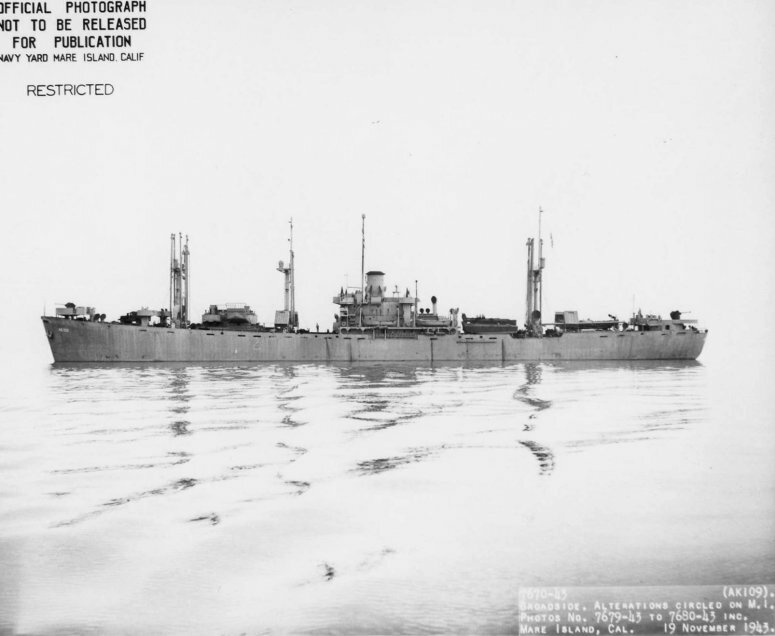 Laid down, 30 July 1943, as SS James Rowan, a Maritime Commission type (EC2-S-C1) hull, under Maritime Commission contract (MCE hull 1730) at Permanente Metals Corp., Yard No. 2, Richmond, CA. 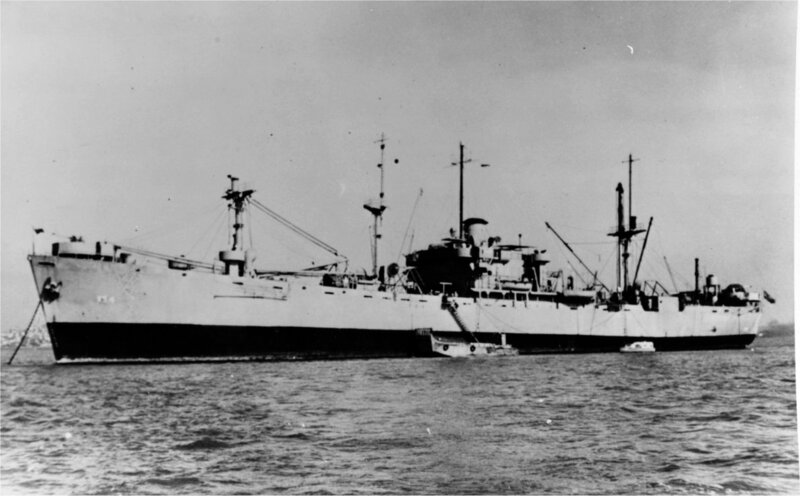 Decommissioned, 18 May 1946, at Pearl Harbor, TH. 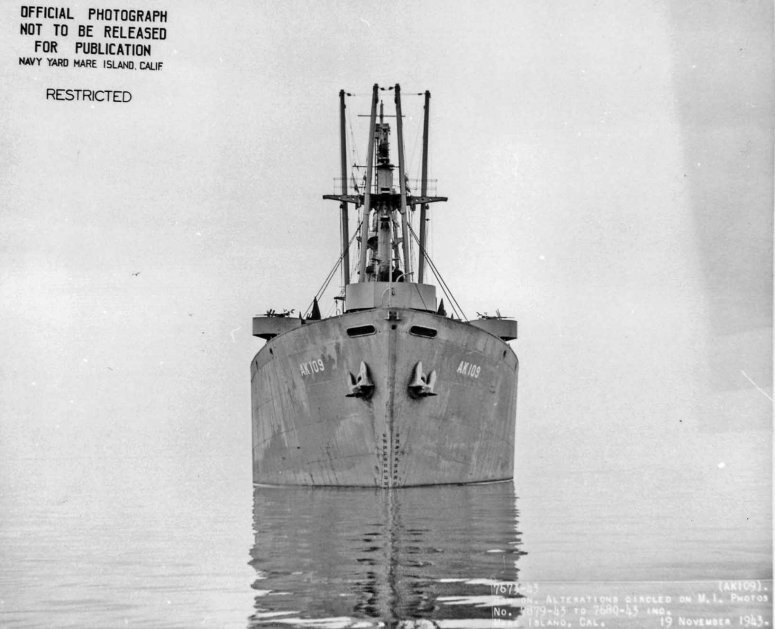 48k Broadside view of USS Allioth (AK-109) off San Francisco, 19 November 1943. 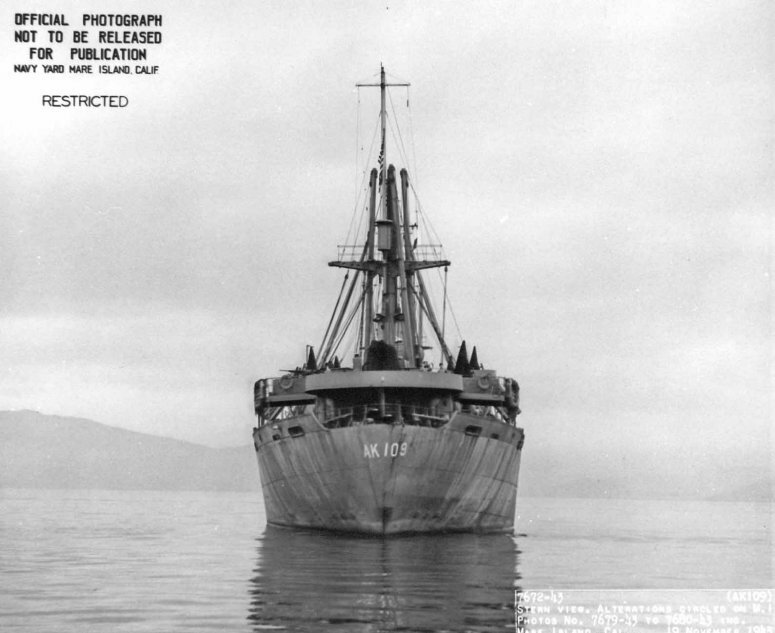 65k Stern view of USS Allioth (AK-109) off San Francisco, 19 November 1943. 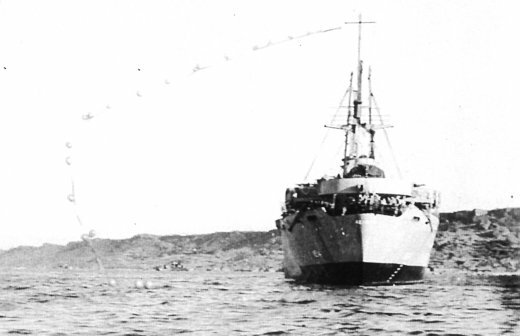 69k Bows on view of USS Allioth (AK-109) off San Francisco, 19 November 1943. 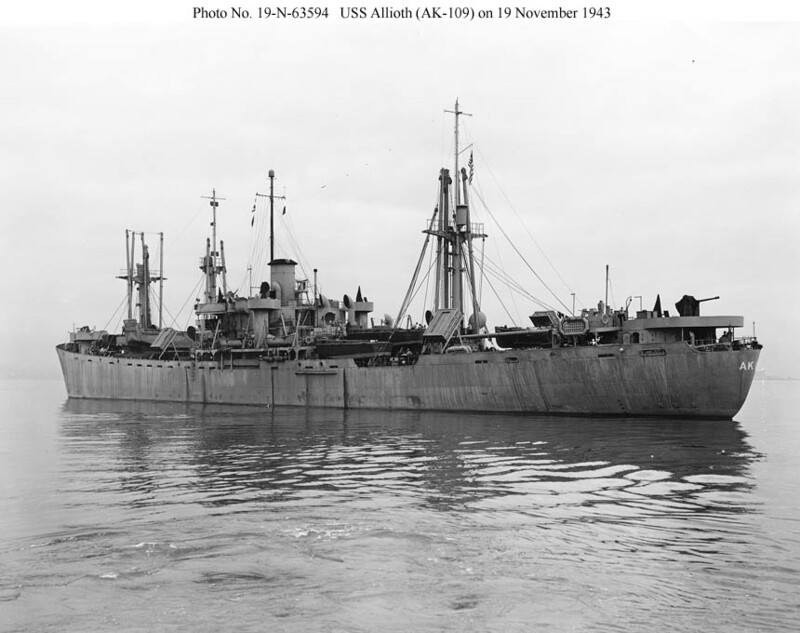 69k USS Allioth (AK-109) off San Francisco, 19 November 1943. 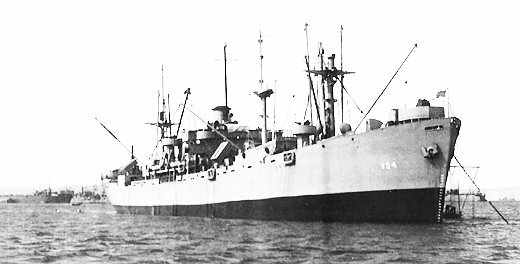 125k USS Allioth (AVS-4) at anchor probably in San Francisco Bay, circa 1945.